When trading in CFD's, you can trade Long when you think that the value of the product will go up, or Short when you think it will go down. > This way the value of your investment increases when the value of your product goes up. > Your investment will increase when the value of the product goes down. This means you can also earn money when products are decreasing in value. If you invest £100 in a certain stock and you think that this stock will go down, but it goes up by 5%, you will lose £5 on your investment. However, if it actually goes down by 5%, you will gain the additional £5. The same goes for the other way around: If you invest £100 in a certain stock and you think that this stock will go up, but it goes down by 5%, you will lose £5 on your investment. However, if it actually goes up by 5%, you will gain the additional £5. Take a look also at I'm new to BUX and trading. Is there a tutorial? Questions? 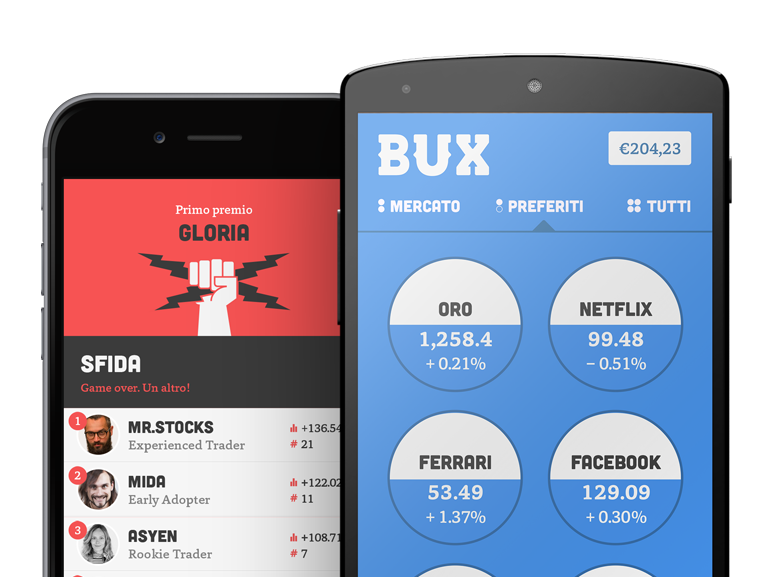 Feel free to contact us via email at BUX Support. * Going UP is the equivalent of the stock market term ‘Long-trading’ and going DOWN the equivalent of ‘Short-trading’. These two terms refer to whether you've invested your money on a stock's price rising (Long) or falling (Short). When trading with CFDs, you can achieve gains in both rising and falling markets.